As we’ve seen in previous years, grey tones continue their prominence in the world of case goods. What’s new? Warmth and contrast — and lots of it! 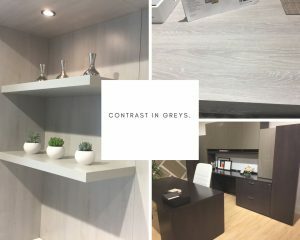 Office spaces featured dark panels with high accent colorations; and many of the greys (lineal and cathedral) now show a nuanced incorporation of warmth married with a lush taupe-ish tone. Everywhere we looked, tables and desktops featured more robust detailing and elegant cathedral structures. Lineal structures are still part of the design palette, but nowhere as prominent as we’ve seen in previous years. 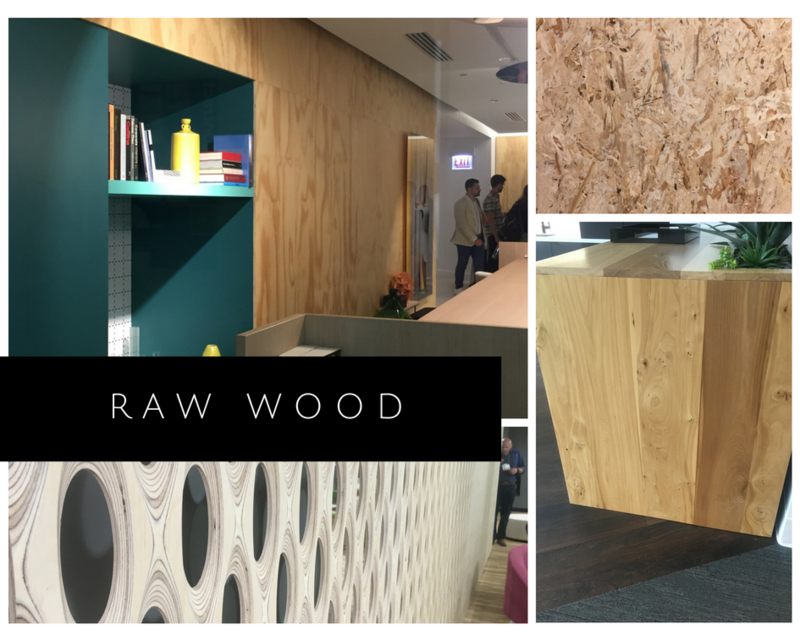 From accent walls to desktops, tables to flooring, sweeping cathedrals adorned every corner of the NeoCon showrooms this year. We’ve seen this trend grow in more industrial-looking spaces, but the creativity of application within a more traditional office space was one of our favorite application trends this year. Plywood, OSB, fresh cut real woods — unstained with only a sealant. Raw plywood edgebanding on tables and desktops. OSB and plywood accent walls. The depth of structure and movement of the raw wood look brings a renewed sense of elegance to what was once thought of as incomplete design. 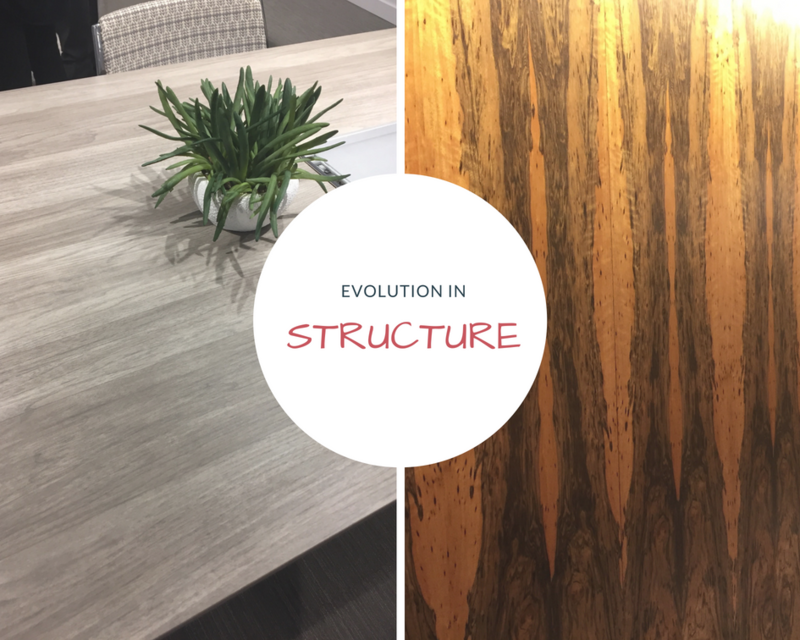 A growing trend that continues to evolve — showcased not only with the combination of stone and woodgrain, but expanded to the use of different woodgrains and colorations together in one piece. 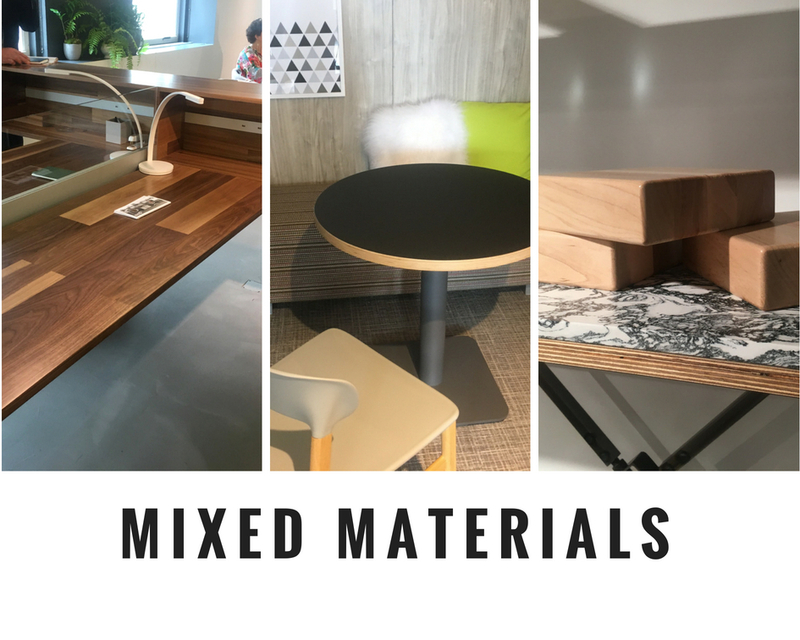 We’re seeing an expanded contrast and versatility to traditional woodgrain applications. Traditional rustics have evolved into a more elegant, natural execution. 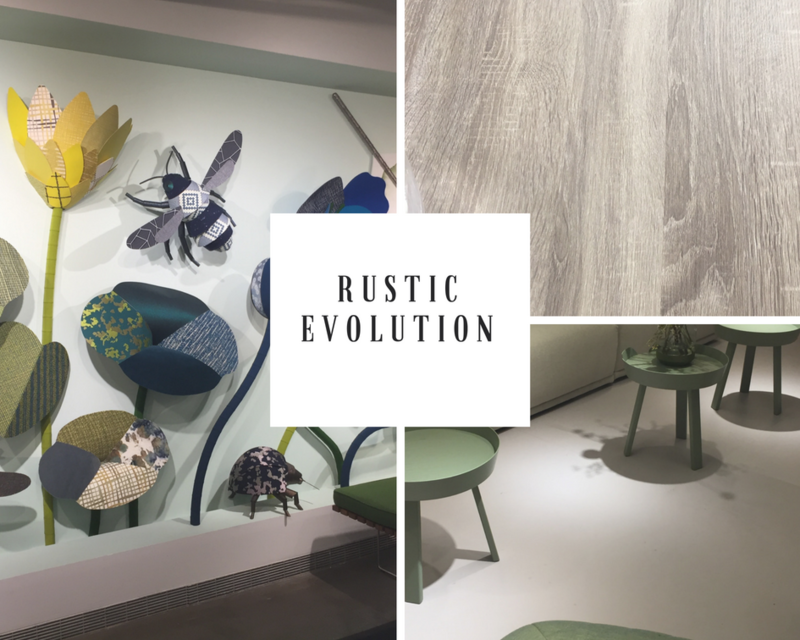 With added sophistication, the new rustics are more about realism than simply the appearance cracks and knots — it’s about rich natural luxury that creates a picturesque palette for a variety of interiors.